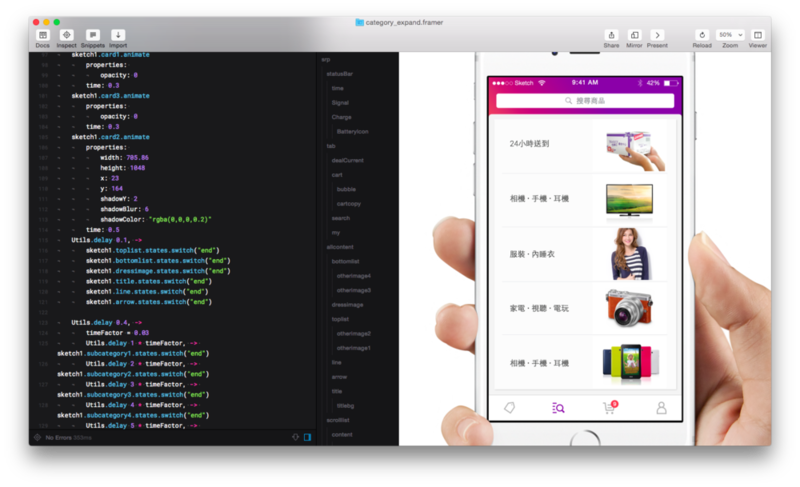 Deliver UX/UI design for shopping app iOS and Android at Yahoo. 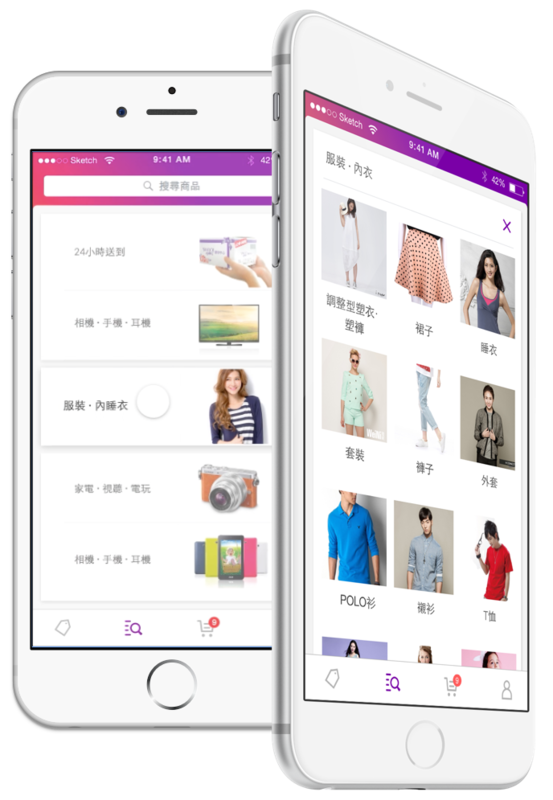 Shopping iOS/Android is an E-commerce platform and was selected by the Apple store as the best new app and number one shopping app in Taiwan. I was very excited to be a part of this scrum team. It was my first UX/UI project at Yahoo. I delivered all of the product design features, including category experience, favorite brands, multiple item promotion and order status at that time. I was responsible for interaction design, planning, understand product requirement, address the problems, visual design, discuss with stakeholders, prototyping and ensure the production quality for both iOS and Android platform. Shopping iOS/Android is an E-commerce platform and was selected by the Apple store as the best new app and number one shopping app in 2016. At the early stage of our product development process, we will have a kick-off meeting with stakeholders. 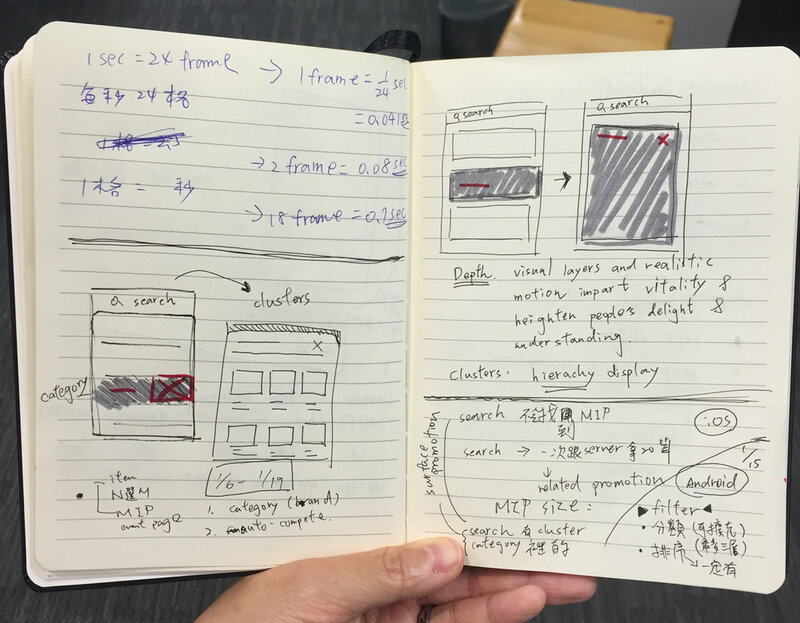 After we understand their strategy and vision, we won’t just start design and sketch, we want to learn from users and find out users needs and pain points. So we will start from observation, understanding users' shopping behavior, walking into their daily lives, visiting their favorite spots. After that, we define our hypothesis then start to design our features. 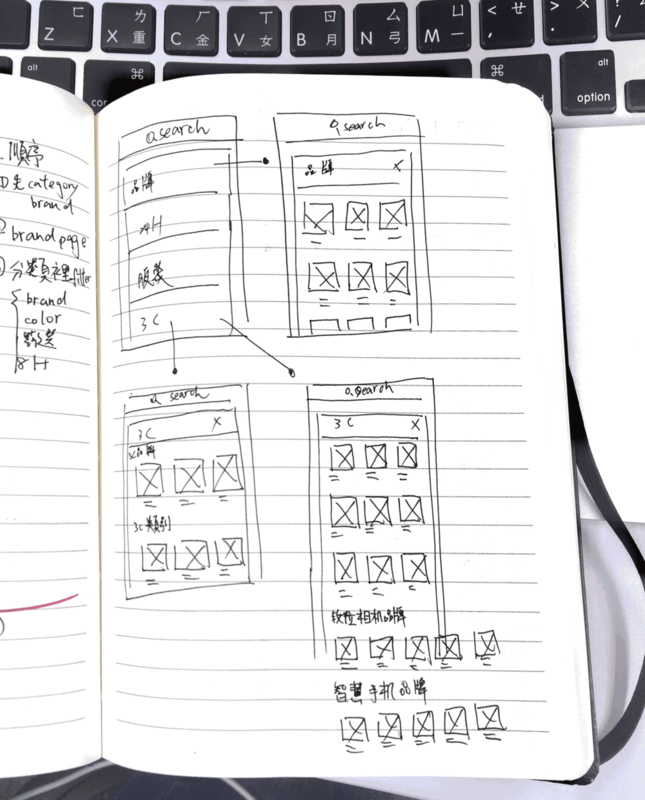 In terms of post MVP strategy, we would iterate the design after the first version has lunched, PM and product designer will setup the goal for next version, e.g. increase the users’ retention rate, conversion rate, rating and daily active user. Then design side will based on those successful metrics to rethink the possible direction for next version. "Category" feature is my first project at Yahoo. The goal is to improve the overall browsing experience. The category can help the user find items easily. Our first step is to define the problems and understand our goals for this feature. For category design, we have three goals for this feature, reduce feature gap between Android and iOS, improve shopping app's user experience and help our user find out the items when they start searching and browsing. In category design, we use list view design with category-related photos so that our user can easily and quickly browse the category they want. When users select a category, they will see a list of clusters from our backend data. Each cluster contains a cluster image and title. Once users choose any cluster, they will be taken to a listing page. When users search on a category main page or category page, we show them search results from the whole site. If users search on other cluster page, we show them the search results under that cluster. Usually, I will understand the context first to see if this is a minor improvement or a brand new feature for our shopping app. After I understand the scope and overall context, I began to sketch as many different directions as I possible, then pick a few assumption to test them out in a prototype. After getting to a good place with each iteration in Sketch, I would then turn to Framer Studio then present it to all stakeholders. We hope users can browse categories and clusters on one page and don’t need to go back-and-forth. My challenge - designing an interaction so that users can easily switch category page and cluster page - is to think about the most intuitive experience. The main concept was to keep the navigation and tab bar, the transitions between categories and clusters animated. To the user, this is one continuous space. So the same background element transition on different screens could be seen as the connection between category and cluster page. In this case, the category title and background always remains one cohesive element; it simply changes its representation over time. In shopping team, I designed what shopping can be like for people in Taiwan. I'm also interaction designer for some projects such as Category Experience, Favorite Brand List, Filter Behavior, Multiple Item Page Filter Experience, Order status, VIP Experience, Search Cluster Backfill, Surface Promotion on SERP and On Boarding Experience for Shopping App.